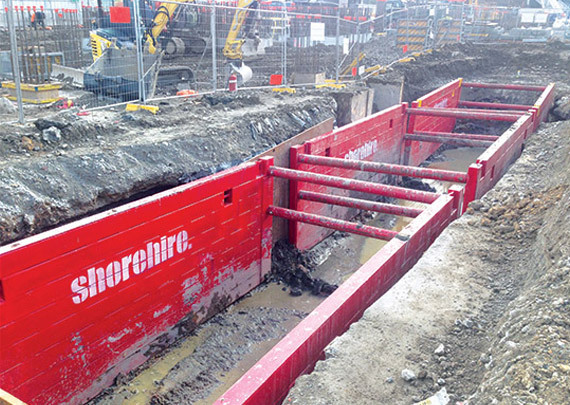 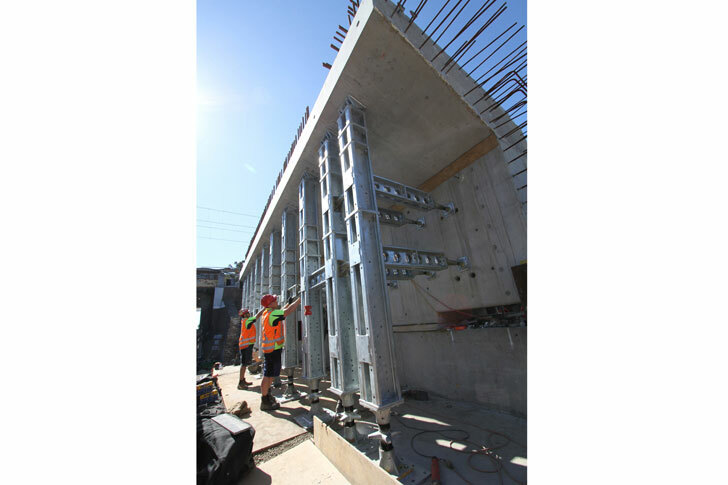 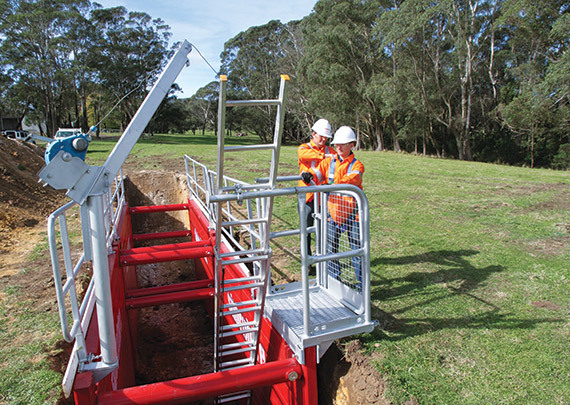 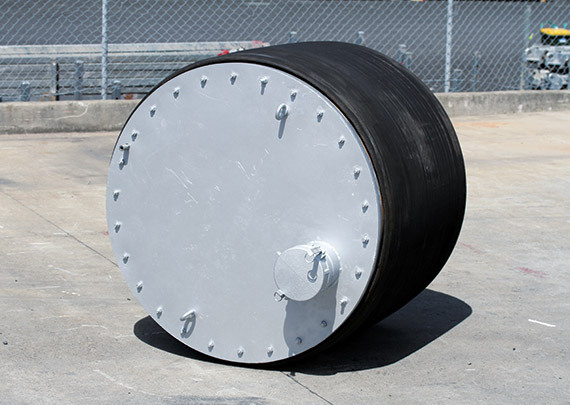 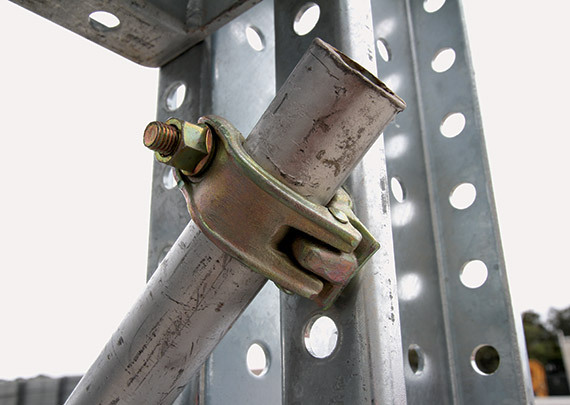 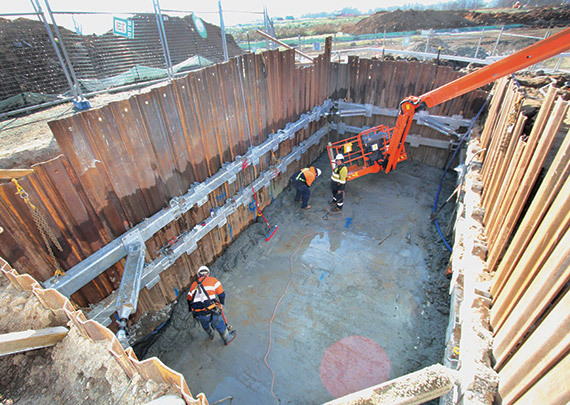 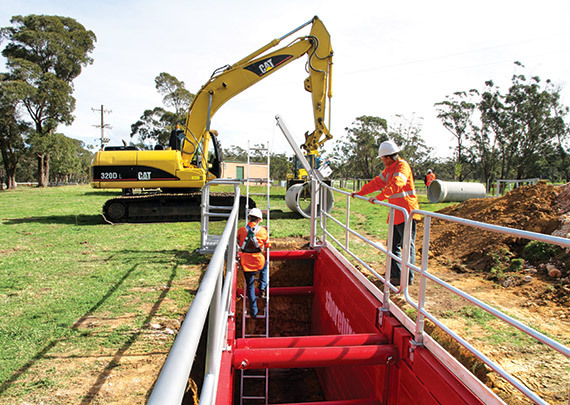 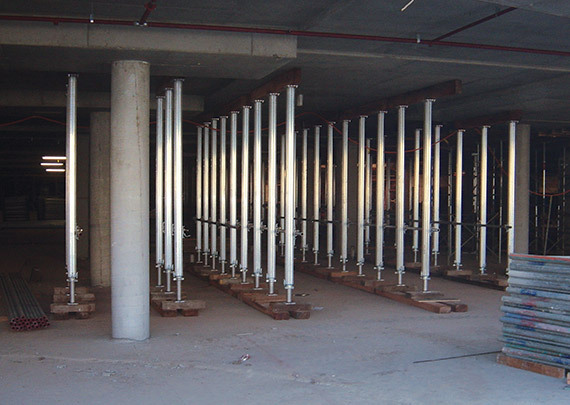 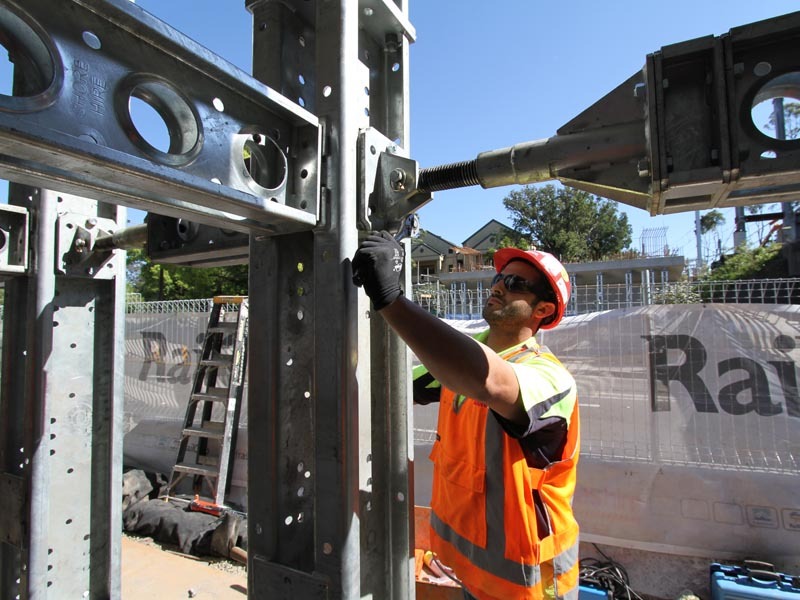 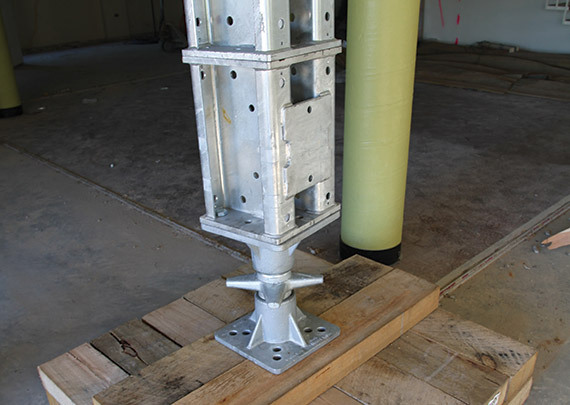 safe access in all shoring applications and are compatible with all Shore Hire Boxes and Trench Sheet Systems. 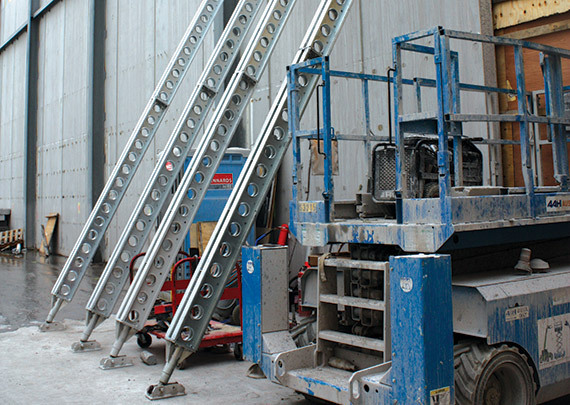 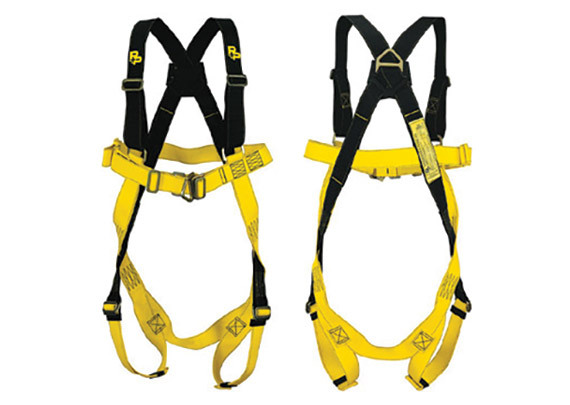 Compatible with all Shore hire shoring systems, ladder safe & Davit safe. 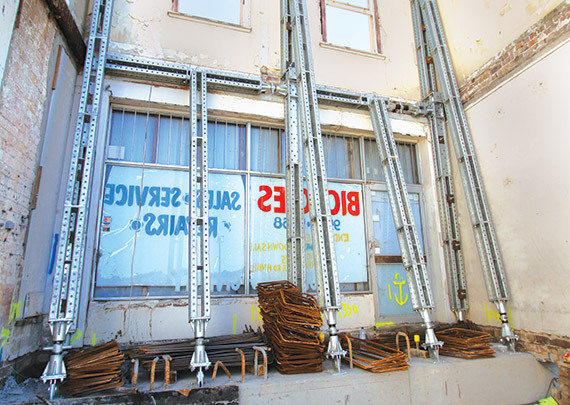 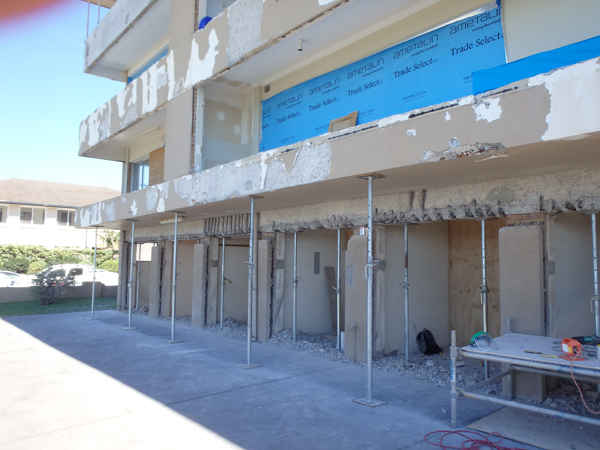 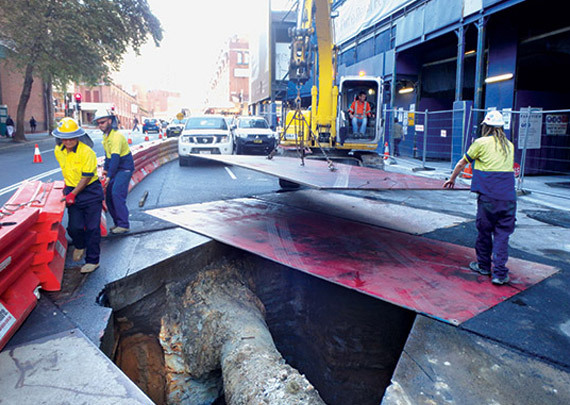 Mechanically fixed to the shoring system. 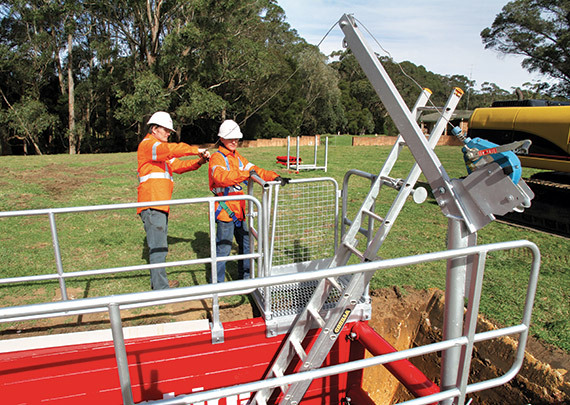 3 rail system including provision for a toe board. 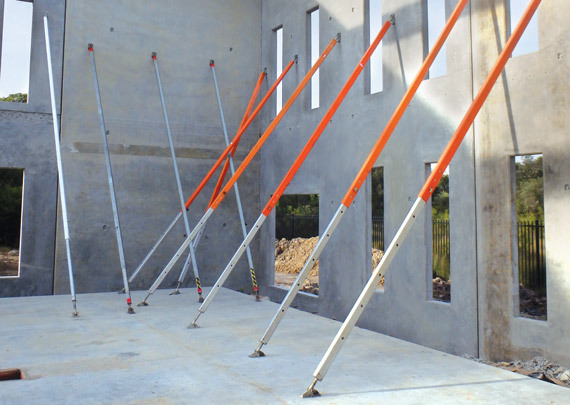 in a range of lengths. 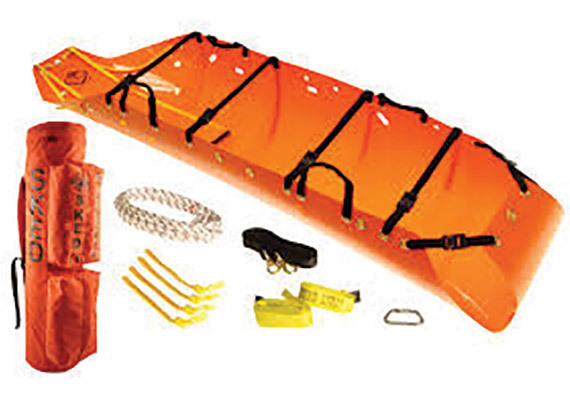 Sale only item. 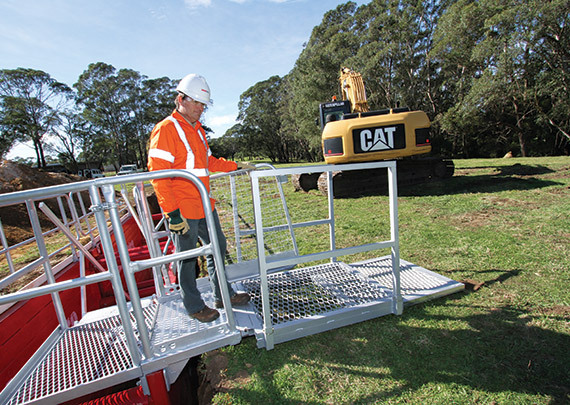 Required for securing self-leveling stairs into your excavation. 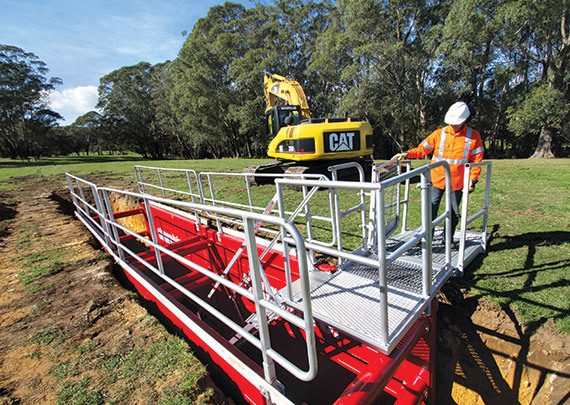 Innovative and robust access platform. 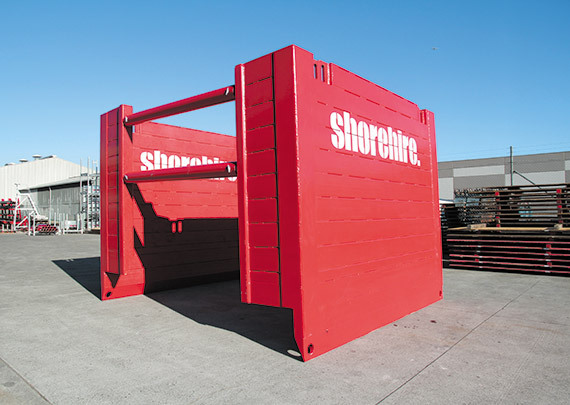 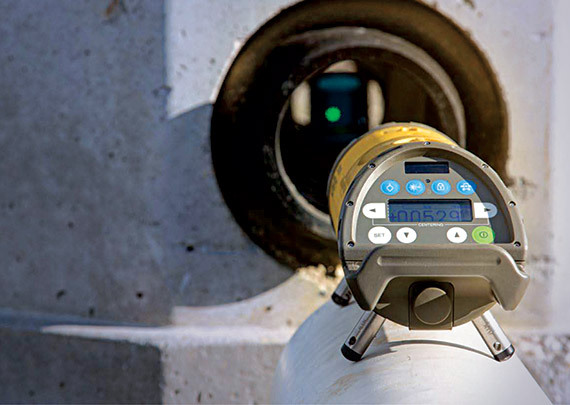 Compatible with Shore Hire shoring systems.